So, can you give me a screenshot of your device manager? Still, thank you for sharing your solution! Intel HD Graphics Drivers update. So guys, it seems I got stuck... I don't get 100% functionality with the modified driver I created. Video playback is not possible with Windows Media Player, only audio files. Video settings on Intel Graphics Control Panel don't change anything (everything else in this software works though), Windows performance test gets stops when testing the video and I am not sure about hardware acceleration functionality. What works; The device manager is clear. Full Aero and windows 7 effects (glass, transparency, 3d windows selection etc). Full brightness control. All possible Resolutions. Video playback is fully functional on GOM player, Media Player Classic (and also probably on VLC). 4K Videos played smoothly with GOM Player. Videos in browsers also play smoothly. And all basic tasks that I performed went smoothly. However, I haven't tried "heavy" software or games yet. So, I got a lot of functionality but not 100% so far. As I wrote earlier I don't have experience with informatics and still I managed to get some functionality, so I am very optimistic that someone experienced will be able to get 100% functionality. To help with this, I will write here what I did, so that you can start with something. 2. Download a newer version which is win10 only but contains the driver for your processor. In my case, Intel Core i7 8550U with DEV_5917. I downloaded the latest driver. 3. Make copies/backup of both folders and save elsewhere before starting editing. 4. Unzip both. From the unzipped ones, go to the new driver folder, then Graphics, then copy all components and paste in the Graphics folder of the old (15.45.19.4678) version. Note; So far in my case I didn't play a role if I replaced the same names of the old files with the new ones or skipped them to keep the old ones. Exception; do NOT replace the igdlh64 file. 5. Find the DEV number of the processor. Device Manager (from Control panel or search), right click on generic VGA Adapter, properties, details, ID. 6. Open the igdlh64 file (with a notepad) from the new version (Graphics folder) find the DEV number under windows 10 and copy the whole line. 7. Paste it under the Windows 7 section in the igdlh64 file of the old driver and correct the ikbl win10 with iskl win7 (known trick for 7th gen). 8. Copy all lines that include the 4-digit number from the igdlh64 file from the new driver and paste in the respective sections of the igdlh64 of old driver. 9. Install the modified old driver (win64_15.45.19.4678) and reboot. 11. Do the same with the igdumdim64.dll and paste to System C:\Windows\System32\Unknown folder. In my case the driver creates an unknown folder. To be sure about the destination folder, just type it in search. 12. With these steps you gain the functionality I mentioned. I think the key in getting 100% functionality is to view/edit these two dll files that cause the issue. Or further editing of the igdlh64 file. Perhaps someone with experience might be able to reach 100%? Thx a ton! I will try it tomorrow. I have create the driver with your intructions! I tested it and works like a charm! Thx again! Last edited by iniro; 26th Oct 2018 at 01:27. Ok, I saw it in the other forum. I'll try it and then I'll tell you! My apologies mengqin and Mivas, but I have tried in vain to perform the cracking (I'm a newbie in this) and it only remains for me to ask you to please upload both dll files to Mega or Mediafire. In my case I have the same type of graphics card, the Intel UHD 620. This is for windows 7 crack, so you should choose a windows 7 version right? Sorry, I can't do that, because I'm in china so I can't access Mega or Mediafire, they are blocked by goverment. I access here by a VPN and this is really low speed link, and couldn't do large file upload. Oh I'm sorry mengqin. By the way we're worried about the situation in terms of the freedom (it includes the connectivity) in those lands. Look, the thing is the . inf file isn't a problem for me. Neither is changing the hex string with the "90 90" (I used Notepad++). What I can't get is to see in the OllyDbg program how to 'let branch @59C4E9C2 goes false'. Could you help me on this please? Thank you very much in advance! I debug the function which crashed in the player, and the key to let it work is adjust the program can go right path in the fucntion. So here I try some path use debuger, and find the right path. And finnally, the result is let instruction @59C4E9C2 not to execute. So I modfiy it from a normal conditional jump instruction (je xxxx) to the null operation instruction (nop). Here the two byte 90 90 is stands for two nop instructtion here. In fact if you are trying to build a driver you don't need understand this, just search the hex string in the file and modify the bytes, it will work. Finally I made the changes and performed the installation, but videos on WMP don't look sharpness and colourful. Anyway, I'll continue trying it. My WMP too, it doesn't use D3D to render video, try VLC or other 3rd player, it will be better a lot. Atak_Snajpera, when I burn your patched ISO to a USB stick and try to boot from it, all I get is a blinking cursor. I'm trying to migrate my Windows 7 SSD to an Acer Aspire TC-780 system and there doesn't seem to be Windows 7 drivers for it. Am I screwed? Activate CSM or legacy mode in BIOS. Do not worry about drivers because your PC uses old H110 chipset. I did both those things. 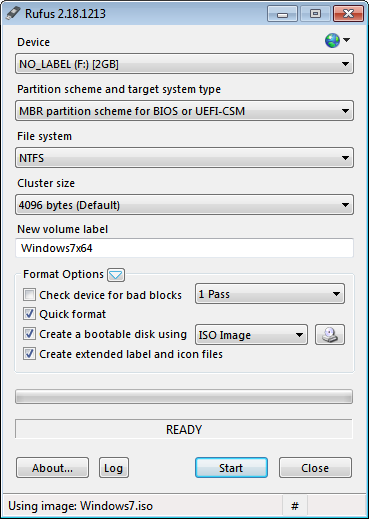 With UEFI instead of legacy, my SSD or flash drive don't even show up in the boot list. I have to enable PS/2 emulation for the mouse and keyboard to work at all even though they aren't PS/2 in the first place. I have no internet, none of the USB ports work, the video quality blows, the sound is quiet. It goes on and on. I can't find any Windows 7 drivers for this chipset. I was hoping to use your patch for the Windows 7 ISO and then do an upgrade install or something, but it isn;t working. Take photos with your phone and show me how exactly BIOS is configured. BTW. How did you record ISO on usb stick? Did you use rufus? If yes then what settings did you use? People use win7 even on 8700k so I do not see any reason why win7 wouldn't work on some old i5-7400. I just want to ask if there is a way to install Windows 7 on HP 290 G2 MT Business PC 8th Generation. I have no problem installing Windows 7 on HP 290 G1 MT Business PC 7th Generation. If you already tried this one and have a solution. I simply swapped the SSD with the old Windows 7 OS on it. I recorded ISO with the Windows 7 USB DVD Download Tool. This motherboard is dated January 2017 so it is not old, the 8700k and its compatible mobo is probably more popular so there's drivers available, I couldn't find any for this one. I used Rufus and now it boots but I see this was the proper route to go about it instead of an upgrade install. I now have internet, USB mouse (still doesn't work on the boot menu tho) but sound is still quiet. I am still using the old sound driver and it never queried me of new audio hardware. For comparison, the Windows 10 OS plays sound at the acceptable level. I guess I should look at device manager from that OS and compare it to this one. But what would I need, the hardware ID? You the man, Sniper! I can't believe I wasn't able to do any effective driver hunting. Gonna investigate why this was so difficult. Back in the day I could get a windows XP OS to run perfectly on an i7 computer and drivers weren't so cryptic to find. I must be losing my grip. Sniperman, guess what? My video card just died so I have to use this crappy onboard one for now. Would you happen to have drivers for Intel HD Graphics 630? Device manager only shows standard VGA adapter.